Are you tired of waiting for Nike to design the perfect sneakers for your tastes? Thanks to a new flexible filament from Recreus that can be used in standard 3D printers without clogging the nozzle, you can finally design and print your own kicks in a wide variety of colors. The only limiting factors are your imagination and sense of taste. Most plastic filaments are soft and flexible until they're melted and extruded. Then they cool into a stiff plastic that's great for toys and parts, but not particularly comfortable to wear. 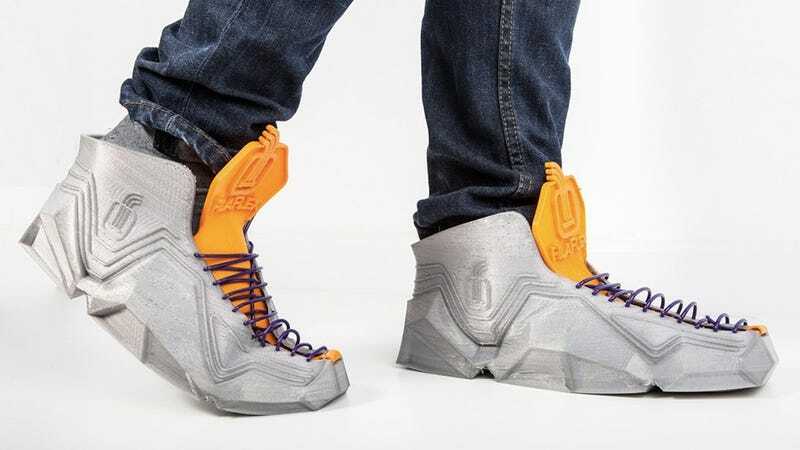 The FilaFlex filament can be used just like the regular plastic material, but when cooled it remains soft and flexible, facilitating wearable creations like these sneakers.